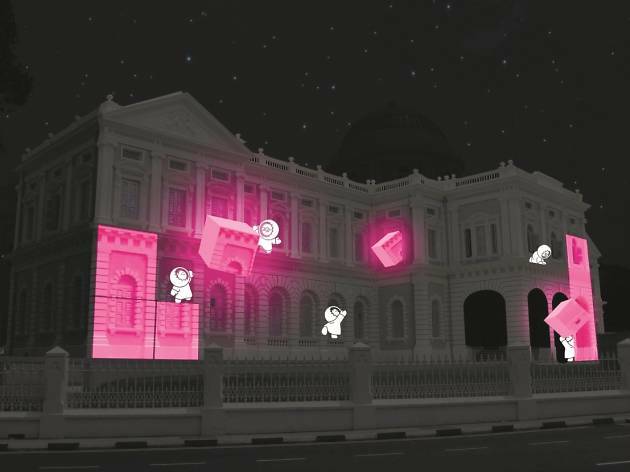 See the façade of the National Museum of Singapore brought to life with the help of a group of adorable, mischievous little Inuit people called the Anooki. Leaping straight out of the imagination of French graphic designers David Passegand and Moetu Batlle, the characters were first created in 2000 as a way to promote their company’s website. They’ve since become breakout stars in their own right, and now appear as projections on buildings around the world at night.